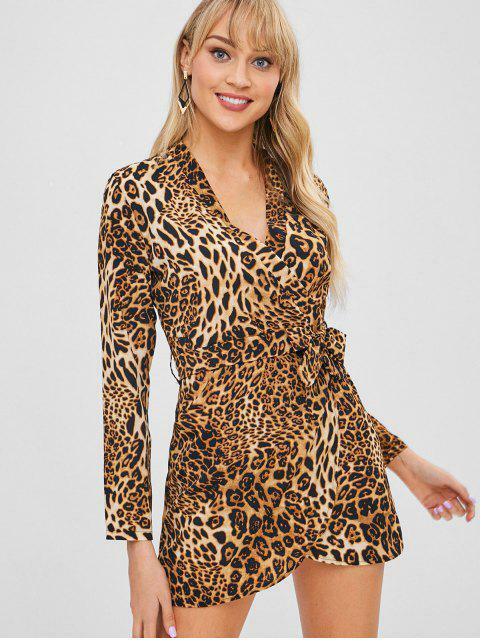 [43% OFF] 2019 Belted Leopard Print Mini Wrap Dress In LEOPARD | ZAFUL ..
Channel a fierce look with our leopard print dress. It features a soft jersey fabric, a flattering crossover silhouette, a self-tie matching belt, and a leggy length. Pair with ankle boots to complete the look.